Phonographic Copyright (p) – Golden Cloud Ltd. 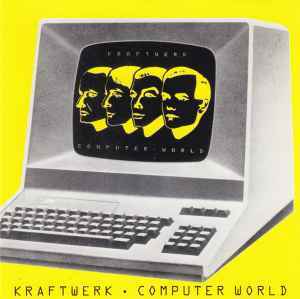 Copyright (c) – Golden Cloud Ltd.
Whilst "Trans Europe Express" and "Die Mensch Maschine" are arguably Kraftwerk's finest works, "Computer World" is contentiously perhaps their most influential, at least to the modern electronic generation. Detroit Techno was already in an embryonic state of genesis when the LP was released, but even after a period of 3 years of silence, Hutter & Schneider redefined the dancefloors yet again. Interestingly enough, the LP was rejected by many fans on its initial release, as it showed a relative progression from the austere and stark vision of the previous LP, moving, perhaps ironically given its theme, to a warmer, more playful Kraftwerk that contrasted against the more definitive imagery of the previous LPs. The core of Kraftwerk's artistic brilliance relies on a polarisation or dichotomy as it were of futurism and romanticism, two opposing aesthetics that they combine with precise skill. It reaches its nadir with "Computer World" - predicting the future with "Home Computer" and "It's more fun to Compute", and at the same time romanticising, especially in hindsight, with "Pocket Calculator". They almost single-handedly defined genres with "Numbers" and "Home Computer" ", but the album's masterpiece is the gloriously romantic "Computer Love" - a lovelorn melodic piece of brilliance that sums up Kraftwerk beautifully, in that behind all the electronic databanks and austere facade remain a very human and soulful band.